John Jefferis has been voted the “Premier Hotelier” by the International Caribbean World Awards for his contribution to the travel and tourism industry throughout the Caribbean. In its 22nd year, the International Caribbean World Awards recognise excellence in travel, tourism and hospitality throughout the Caribbean region, the awards are voted on by the readers of the award-winning Caribbean World Magazine. Mr Jefferis, who developed and owns Coco Reef in Bermuda, said: “I am exceedingly honoured to have been voted the Premier Hotelier of the Year at the International Caribbean World Awards. 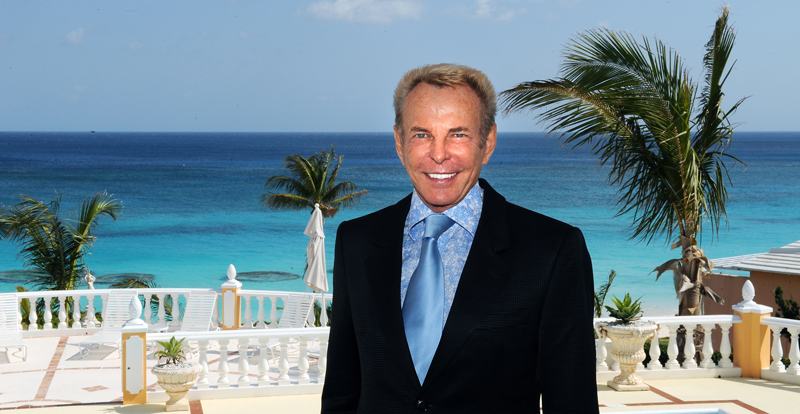 I am living my dream of developing and owning hotels in the Caribbean. Mr Jefferis has won prior accolades and awards throughout his career, including: Bermuda Hotel Association’s first “Bermuda Hotelier of the Year” in 1989; The Caribbean Hotel Association’s “Caribbean Hotelier of the Year” in 1991; EY’s “Caribbean Entrepreneur of the Year Award” in 2000; Caribbean World’s “Lifetime Achievement Award in Tourism and Travel” in 2008; and International Caribbean Life’s “Entrepreneur of the Year” in 2014. In 2015, Mr Jefferis celebrated 50 years in the hospitality industry and was inducted by the Trinidad Hotels, Restaurants and Tourism Association into the Tourism Hall of Fame – one of only two people to be inducted. For the past 13 years, Jefferis’ Coco Reef – Tobago resort has won the World Travel Award for the Caribbean’s Leading Hotel. Mr Jefferis is a past President of the Bermuda Hotel Association and a past member of the Bermuda Government’s Tourism Board and Marketing Committee. He was the driving force behind Bermuda joining the Caribbean Hotel Association. He went on to become President of the Caribbean Hotel Association from 1996-1998 and Chairman from 1998 – 2000.